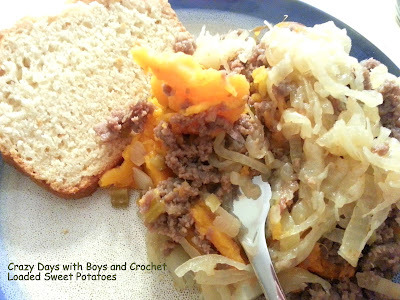 It never fails, when colder weather approaches the need for satisfying comfort food increases. Being that the usual loaded baked potatoes are a major no for my dietary restrictions, I decided I would try out a new spin and on old classic. Sweet potatoes are always a favorite of mine, especially when baked. 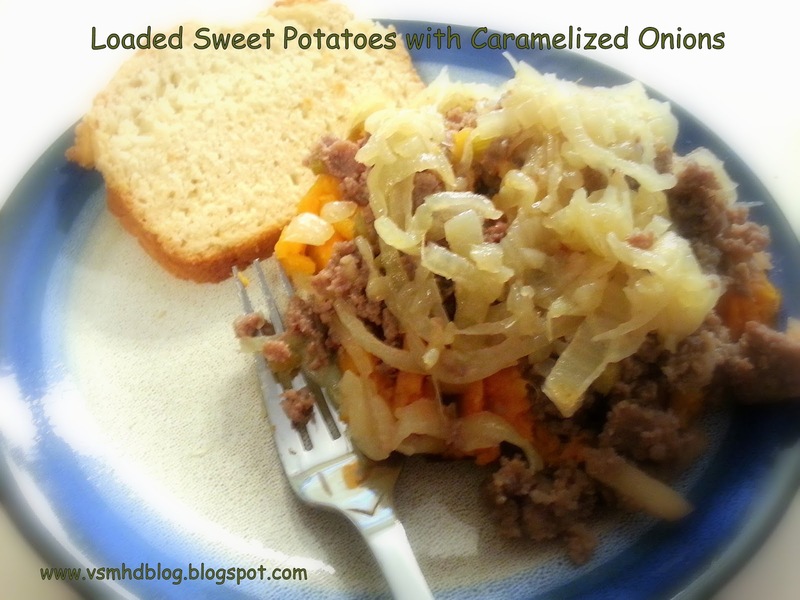 Wanting to play on the sweet and savory combination, I came up with this great recipe that uses breakfast sausage and caramelized onions to create a ridiculously yummy and filling meal. Easy enough for most anyone, but you may want to brush up on your caramelizing technique if it isn't something you are used to doing. Give it a try and I promise you will not be disappointed. Everyone dove in and ate it to the very last bite...even when tummies started getting full. Yes, it was that good. I fully plan on making this a few times a month during the cold weather seasons. Heavy duty foil, baking sheet, large shallow pan with lid, medium sauce pan, spatula and fork. 1. Make sure to clean your sweet potatoes as you will be keeping the skin on for this meal. Make a few punctures into the top of each potato and then wrap in a sheet of heavy duty foil. 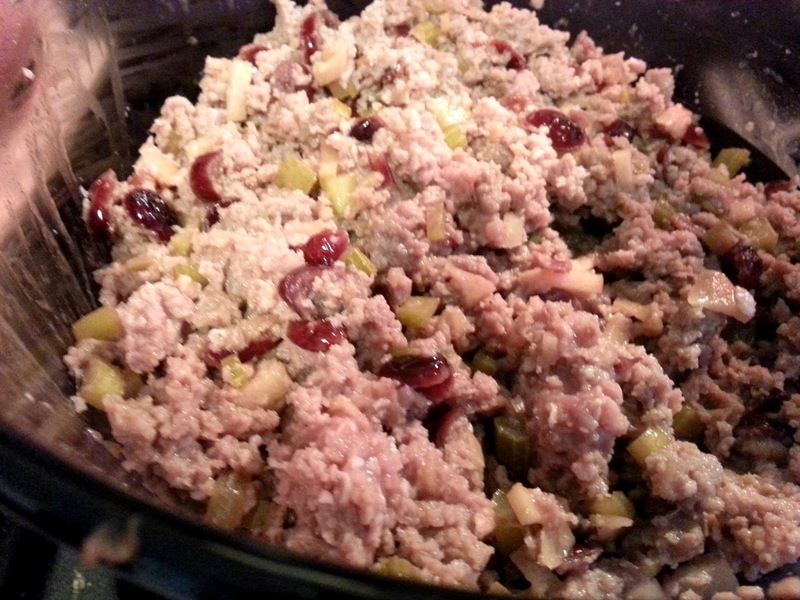 Place on baking sheet and bake for at least an hour and then check for fork tenderness once an hour passes. 2. 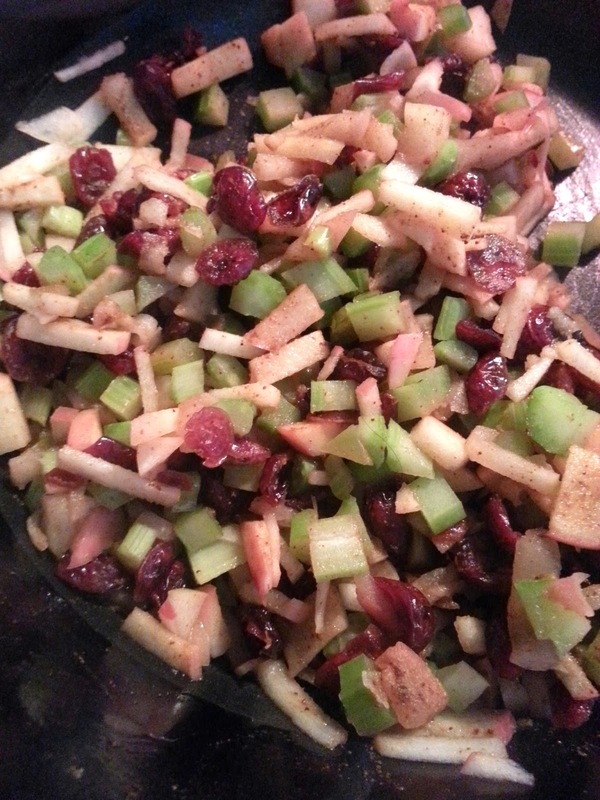 While potatoes bake, add about a 1 tsp of oil to your large shallow pan and when melted put in your onions and reduce heat to lowest possible setting. Add a few dashes of sea salt, stir and then cover with a lid. 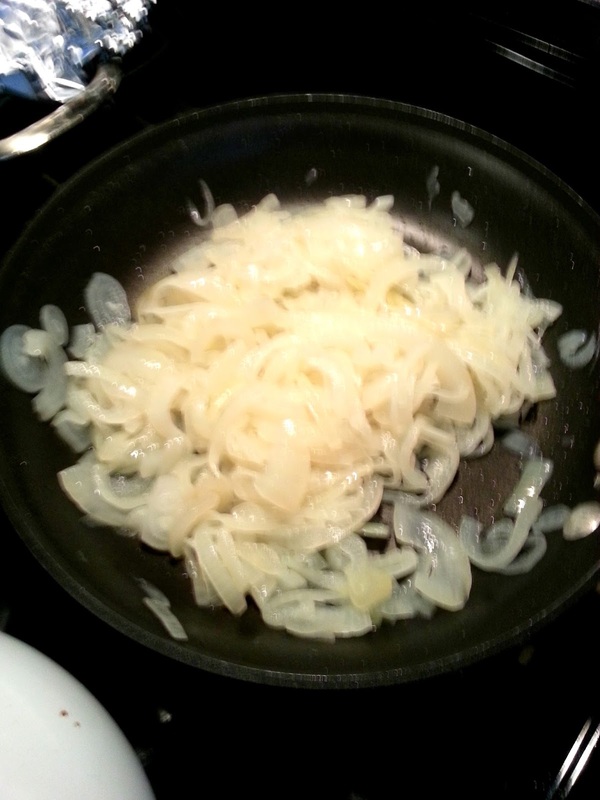 The onions will ultimately be caramelized so it is important to keep the heat low and then stir occasionally with a good rubber spatula. If you are doing this right, the onions will reduce down drastically and turn a very light caramel color by the end. 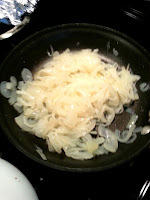 You do not want the onions to burn at any point or you will lose the sweetness of the onions and instead get more of a bitter flavor. 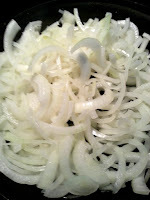 Toward the end, vent the lid to help the residual liquid cook off and get the onions to a more creamy consistency. 4. When potatoes are fork tender, carefully remove from the foil and place each one on a plate. Split the potato in half and then add a few heaping spoons of the sausage mixture on top, then spread a layer of caramelized onions and serve. I baked some beer bread to go along with for a nice hearty meal on a cold rainy day, but for the gluten free group, this can obviously get skipped.